While your diet may be relatively healthy, it doesn't necessarily mean that you are getting enough fibre to maintain good digestive health. I am a healthy eater,who consumes lots of fresh fruit and veg, beans, nuts etc, but... being on a weight loss journey and reducing the size of my portions means that sometimes I can miss out on the fibre. That's why I agreed to take the All-Bran5 Day Challenge. Now... 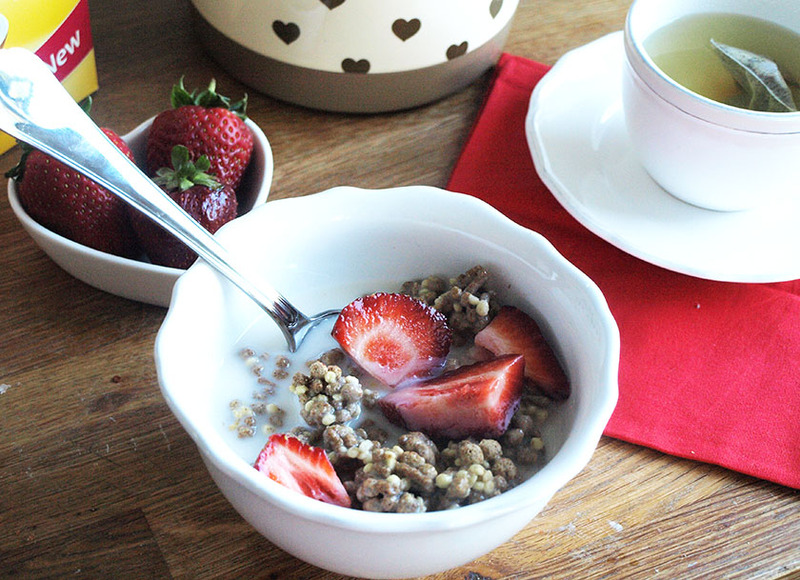 I don't normally eat breakfast cereal, unless it's homemade granola etc, but I used to eat All-Bran or other high fibre options, when I worked long hours and needed a really quick, relatively healthy breakfast. It would consist of a portion of my chosen cereal, almond or hazelnut milk, plus some fruit on top, usually banana, strawberries or blueberries. The recommended GDA of fiber is 25g per day, which doesn't seem like a lot, but most adults consume only 12g per day! Knowing that I can have over half of the fibre I need, in just one meal is great! 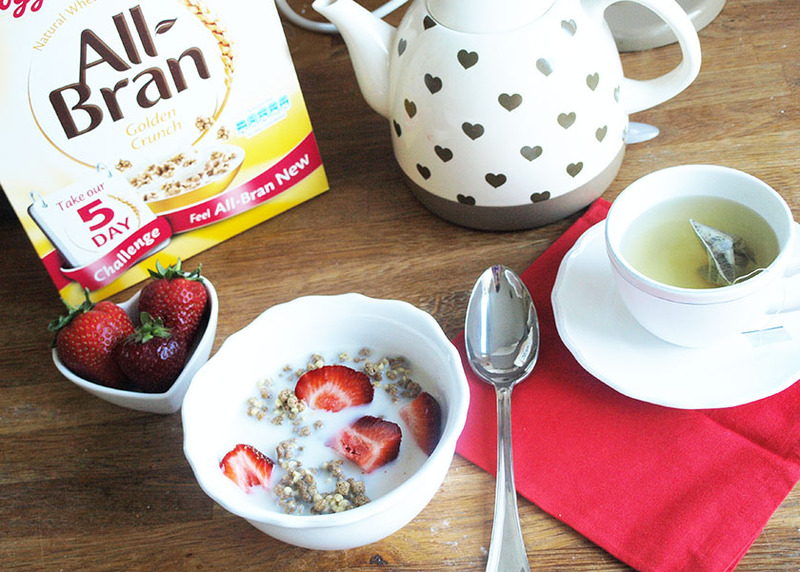 Obviously, as someone who avoids processed foods as much as possible, I am not going to tell you that breakfast cereal is the best option, but if you struggle to eat enough fibre and aren't a healthy eater, you might want to consider giving All-Bran a go. You should also remember that during digestion, natural wheat bran fibre absorbs almost four-times its own weight in water, so it is VERY important to drink a minimum of 2L of water every day to keep your body happy! Another factor worth mentioning is your activity levels. If you work from home or have an office job and don't really walk or exercise, make sure to do at least 15 minutes of brisk walking or a quick cardio routine to get your heart rate up and speed up your metabolism. Believe me, it makes a massive difference! Will I continue eating All-Bran? 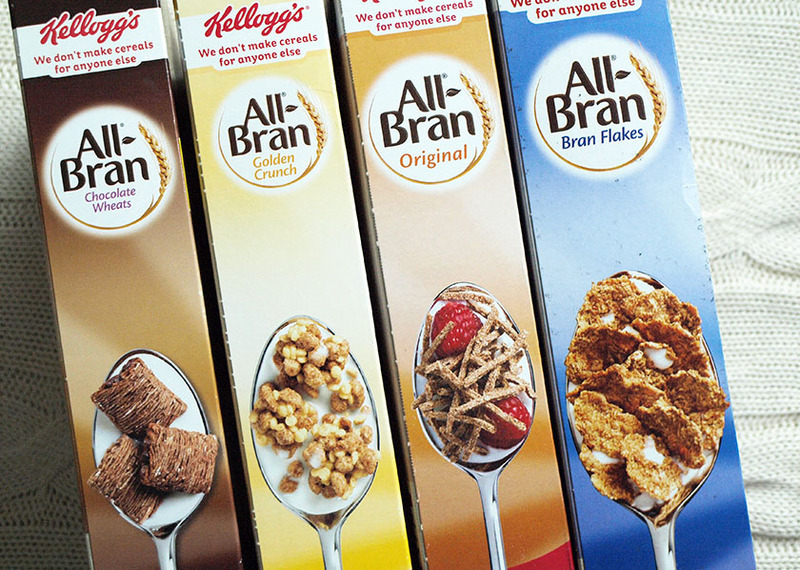 As a healthy eater, I usually include enough fibre in my diet, but I will definitely repurchase All Bran Original and Golden Crunch and use it as a topping for my fruit salads in the morning. I just like the crunchy texture, plus... Golden Crunch is absolutely delicious! 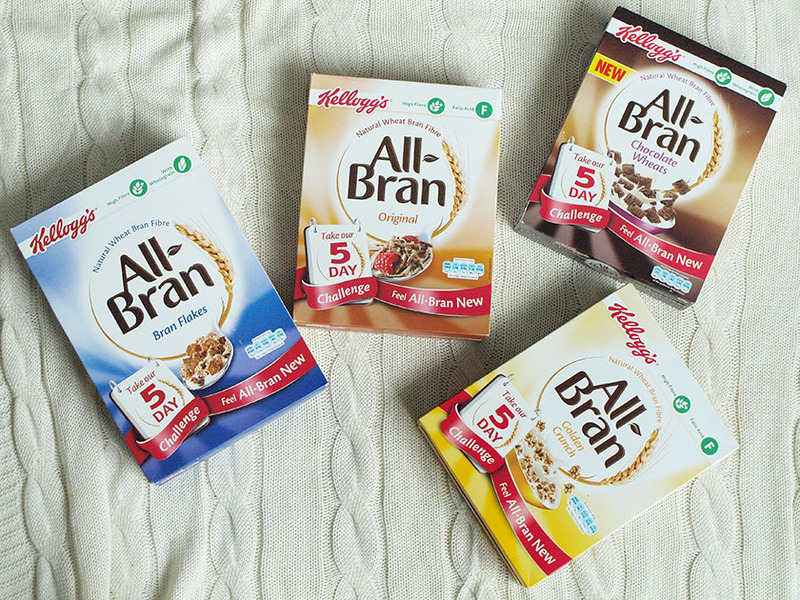 Make sure to sign up to the All-Bran 5 Day Challenge to get advice about upping your fibre intake, discover high fibre recipes and track your progress. 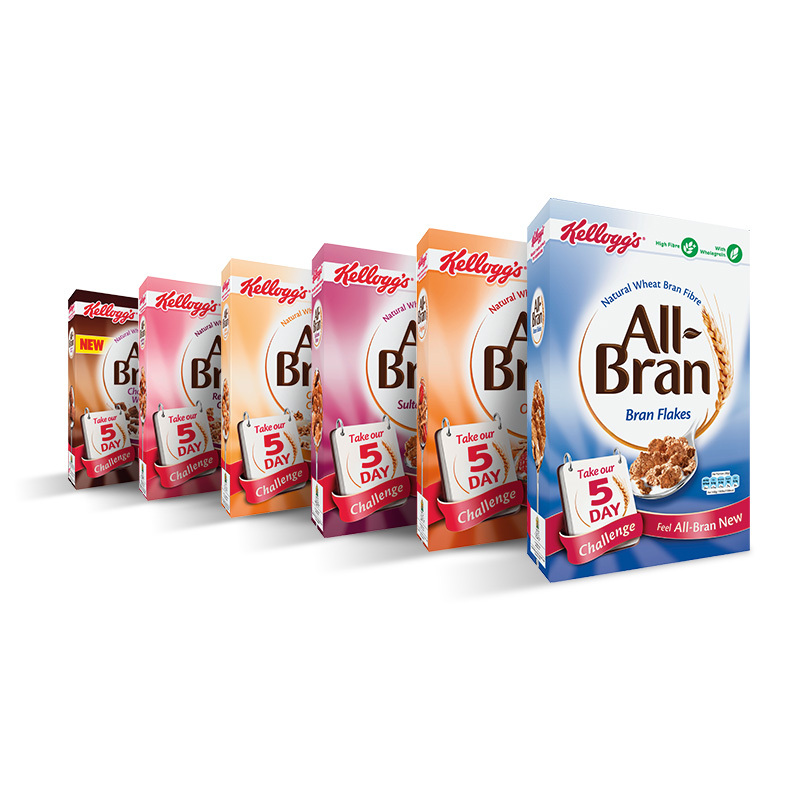 I was also offered a selection of All Bran cereals to give away to one of my readers and you can enter the competition by filling in the rafflecopter widget below. If you entered the giveaway before the 20.08/2014, I sincerely apologise, but due to a misunderstanding, I was convinced that the winner will receive the same hamper as me. The photo has now been replaced with the correct prize. The prize consists of 5 out of 6 boxes shown in the photograph above. Please accept my apology.